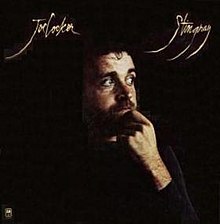 Stingray is the sixth studio album by Joe Cocker, released in 1976. It is his last release for A&M Records. Engineers – Baker Bigsby, Neil Case and Rob Fraboni. Recorded at Dynamic Sound Studios (Kingston, Jamaica). Mixed at The Village Recorder (Los Angeles, CA). Cover Photo and Inside Color Photos – S.L.O.P.